Create a unique votive with your favorite shades of baker's twine and Mod Podge. Baker's twine crafts are some of the easiest you'll ever do . . . no expertise needed. 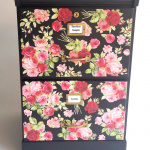 I have one of the most satisfying decoupage crafts I've ever done for you – and probably the easiest. My friends, if you can wrap twine, then you can do this project. Beginning Mod Podgers take note, because this is the perfect way to get started with the magic glue. You can re-dress an old container (glass works, but you can probably use any container) by simply wrapping. Here's another jar I decorated and then the fun little tutorial. 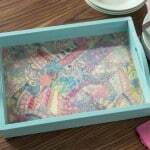 You are going to love this easy craft! Start by attaching one end of the baker's twine to the surface you are going to cover using the Mod Podge. Glue down about 1 – 2″ so that you have enough tacked down to start winding. Apply Mod Podge to the surface of the container and wind your baker's twine around. I kept pushing it down so it was snug. Start a new color at the seam. I just eyeballed where to start a new color. When I got to the top, I clipped off the baker's twine and gave all of it a good coat of Mod Podge. It will be milky but dry clear (as the pros know). I felt incredibly motivated to do two – one rainbow and one in a color palette I like. As you can see, on the rainbow votive I added a white button with craft glue. You can glue any embellishments you want to the top. That's all there is to it! This could be the easiest Mod Podge tutorial I've ever done. Enjoy. 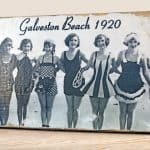 Love how you created such awesome projects with The Twinery twine. 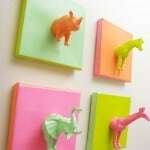 These would make super awesome Teacher’s gifts that the kids could do, too! BTW-Saw your book at Hobby Lobby today! love this craft! i’m going to have to try it soon. 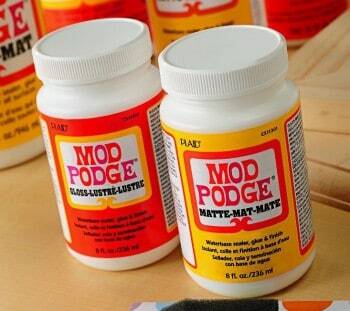 i was wondering, though, do i have to use mod podge glass or can i use mod podge matte finish? also, i was wondering if you place the mod podge all the way up the glass or just where the twine begins and ends? 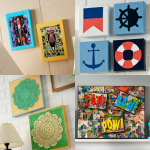 and one last question, do you know if i can use mod podge as a sealer on a canvas? thanks so much! !